Space Ewe Software :: Zontie, where are you? 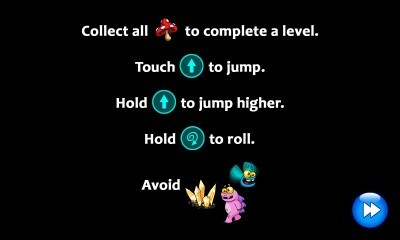 Run and jump and roll for all! 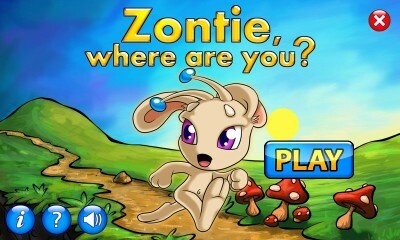 Zontie is an alien pet and enjoys to eat mushrooms. One day she went to the forest to look for them, but she got lost. Now she is very scared and runs like crazy bumping into things. Please help her not to get hurt. 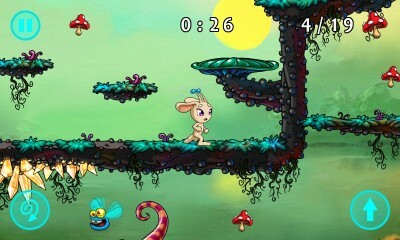 This is an auto-running run and jump and roll side-scrolling platform game. Very simple to play, but nevertheless quite challenging and hard to master! Don't be fooled by its cuteness. This little game doesn't forgive mistakes! 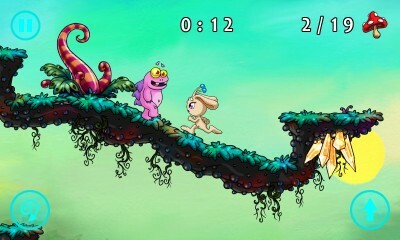 The game has 27 moderate-sized levels set out in 3 different worlds.